Cutting your pet's nails doesn't have to be a daunting task. This smart nail clipper has a unique safety stop bar that prevents you from over-cutting and hurting your pet. The clipper's heat-treated steel means its sharpness and precision will last, giving you and your pet years of safe and careful grooming. 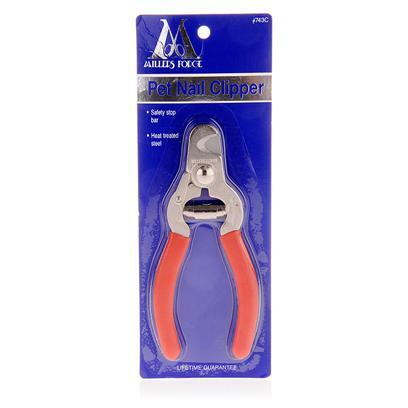 Hold your pet's paw securely with one hand and clippers with the other hand and try to cut in one smooth stroke. Go slowly and cut in small amounts to prevent over-cutting. It helps to have treats ready to reward your pet for holding still.